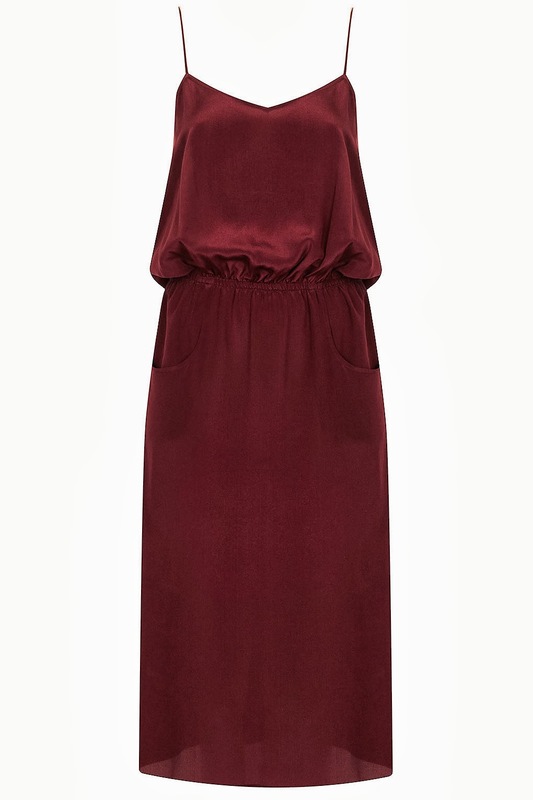 This week I'm lusting after this silk dress from Topshop Boutique. I love the rich burgundy colour and the nod to the 90s slip dress style that is having a revival at the moment, but with a gathered waist and pockets to give it a bit more shape. Worn on its own with heels for evening or with a chunky knit and ankle boots for day, this is one item of clothing that would fit in veeery well in my wardrobe! Ah this dress is gorgeous, love the colour! Will look great with a leather biker jacket and some nice chunky ankle boots!